Our title company has over 20 years of experience and, with our attorney’s legal expertise, of more than 45 years, we offer comprehensive real estate services. This means that we are also able to advise real estate investors on the best ways to maximize their investments. One way to do so is using the 1031 Exchange to your advantage. But what is the 1031 Exchange, and how does it work? Put simply, Section 1031 is part of the Internal Revenue Code that allows investors to “exchange” one business investment or property for another, while paying no or little tax at the time of the trade. 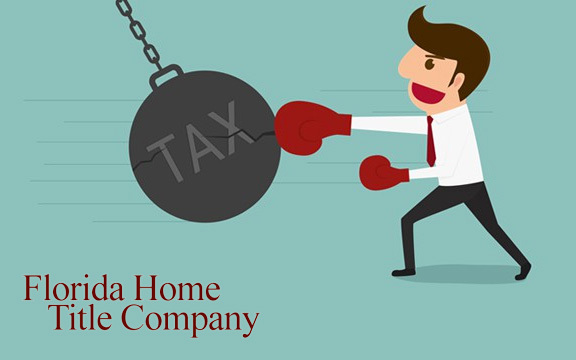 Usually when you sell an investment property, you’ll have to pay capital gains tax. However, if you “exchange” properties instead of simply selling, Section 1031 defers the payment of that tax. This allows your investment to continue to grow without the tax attached to it. You only need to pay these taxes once you sell the property for good, and make a cash profit on the sale. In this way, investors can keep “exchanging” properties while avoiding capital gains taxes until much later – sometimes years or decades later, at which point they may be eligible for a long-term capital gain rate. According to the IRS, the simplest way to do this is “a simultaneous swap of one property for another” – profits from the property sale are immediately used to purchase the next property. Nonetheless, “[d]eferred exchanges are more complex but allow flexibility” and even reverse exchanges are possible. So, you could exchange real property in the form a vacant lot for a small business property, an apartment building for a strip mall, or even one business for another. However, most property or residential property for personal use does not apply – so you can’t swap your current home for another one. You also cannot trade stocks, shares, bonds, and other similar items under Section 1031. Timing is important. Once your property has been sold, the cash from the sale will go into the escrow account. You cannot receive this cash, or your exchange will be void under Section 1031. Within 45 days of the property sale, you must officially designate the replacement property to your intermediary. This typically means that you must already know which properties you’d like to swap before going through with the sale. However, if an investor tries to swap properties in succession too quickly, they could be considered a “dealer” and the properties become “stock in trade.” Thus Section 1031 does not apply to property flipping. You may be swapping properties, but your investment essentially stays the same. With the deferred taxes, you can invest that money elsewhere, and your business can continue to grow and accumulate value tax-free. When you do sell, you’ll pay a long-term capital gains rate instead of multiple taxes on multiple property sales. In addition, upon your death, your estate may be able to avoid the taxes altogether. Making use of Section 1031 can be very complicated, so always consult a professional real estate lawyer or title agent who can help you through the process.